Nigel Mayes, senior vice president, consulting and product development	at ASM, offers his thoughts on how the aviation industry is faring so far in 2018. 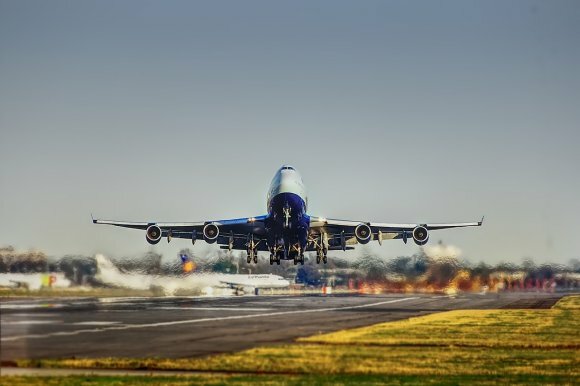 Now that we are a significant way through the year, we have the opportunity to take stock of how the global aviation industry has performed so far and the expectations for the rest of 2018. Passenger air travel demand is forecast to expand by 7 percent this year, according to the International Air Transport Association (IATA), which is slower than the 8.1 percent growth recorded for 2017 but still faster than the 20-year average (of 5.5 percent) for the sixth consecutive year. Demand is getting a boost from stronger economic growth and the stimulus from new city-pair direct services. Capacity is expected to grow by 6.7 percent - the same pace as in 2017 - while passenger load factor is expected to nudge up slightly to 81.7 percent, compared with 81.5 percent last year. Total passenger numbers are expected to rise by 6.7 percent to 4.36 billion. IATA says passenger yields are forecast to grow by 3.2 percent in 2018 after a 0.8 percent decline in 2017. This will be the first year for strengthening yields since 2011. The moderation in demand reflects the impact of a number of factors, the main one being a spike in fuel costs. Crude oil prices are about $75 per barrel, up by more than 50 percent over the past year, and airlines are feeling the pinch. This in turn is reducing the stimulus from lower airfares. In addition, carriers are cutting their profit forecasts because of the cost of flight cancellations associated with air traffic control strikes, particularly in Europe and Brazil. Industrial action by pilots and crew at some airlines has also caused much disruption this summer. Elsewhere, growing trade disputes and geopolitical tensions are weighing heavy, with the threat of the United Kingdom leaving the European Union without any withdrawal agreement becoming a real possibility. European airlines grappling with the potential impact of Brexit will be hoping for clarity over the coming months, before the deadline of 29 March 2019. Is the recent currency crisis in Turkey also the first of many economic shocks caused by trade disputes? However, so far in 2018 there have been some hugely positive steps made in opening up the world’s skies, with the launch of the Single African Air Transport Market seeking to further liberalise air travel on the continent. The US has also reached deals with the UAE and Qatar to resolve their open skies disputes, while the Civil Aviation Administration of China’s moves to boost competition through ending the “one route, one airline policy” should be welcomed. Overall, despite the challenges, we should not forget that demand has remained robust and the first half of 2018 concluded with another month of above-trend growth. The industry has learned lessons from the past and has strong financial foundations on which to build in the future.